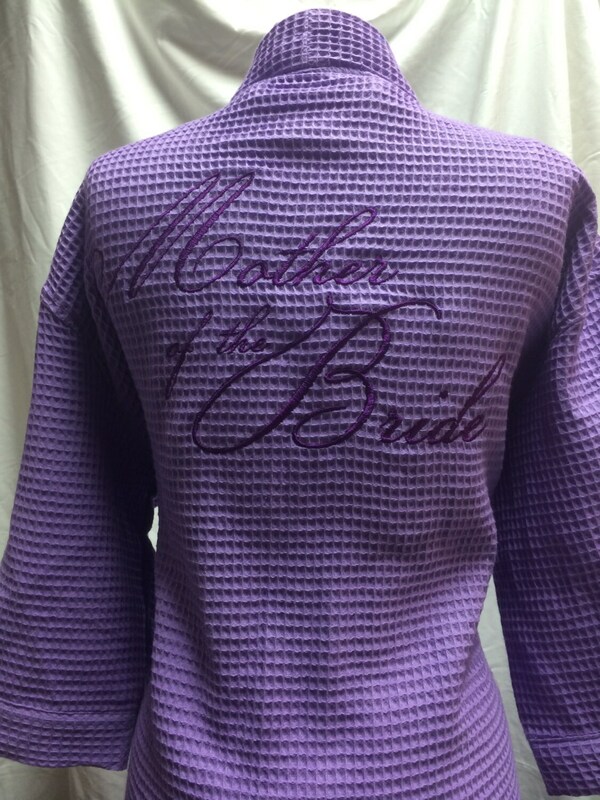 Everyone loves having their own personalized short spa robe and these top quality waffle weave robes are the perfect gift for any woman! 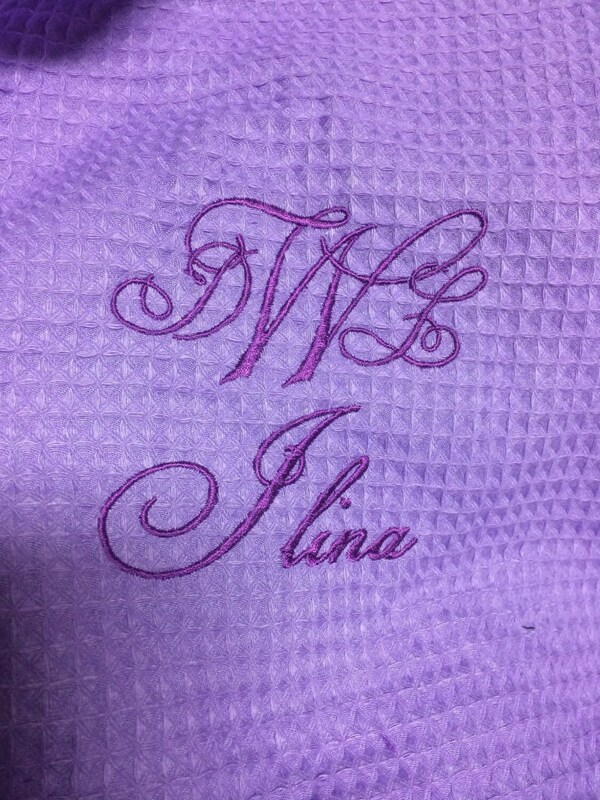 We will personalized them for you with expertly done embroidery. 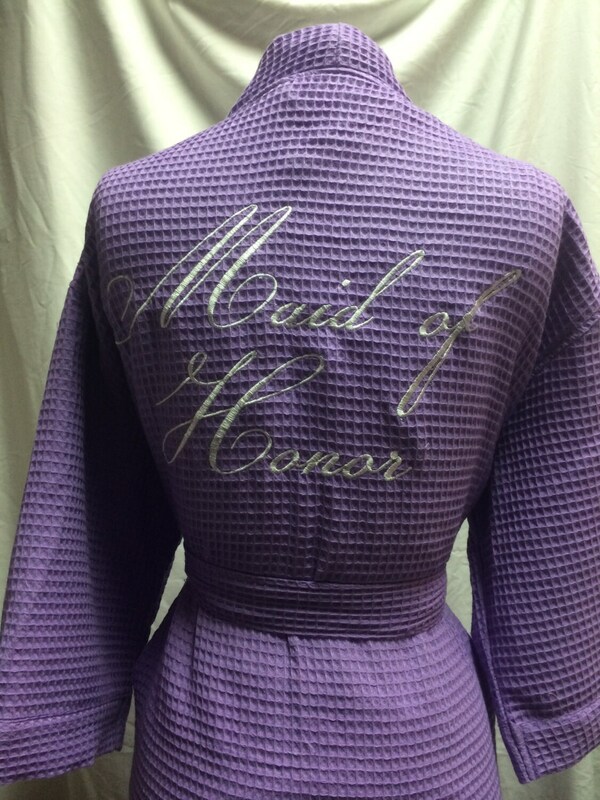 We can also make these as a gift for your hubby to be and his groomsmen. 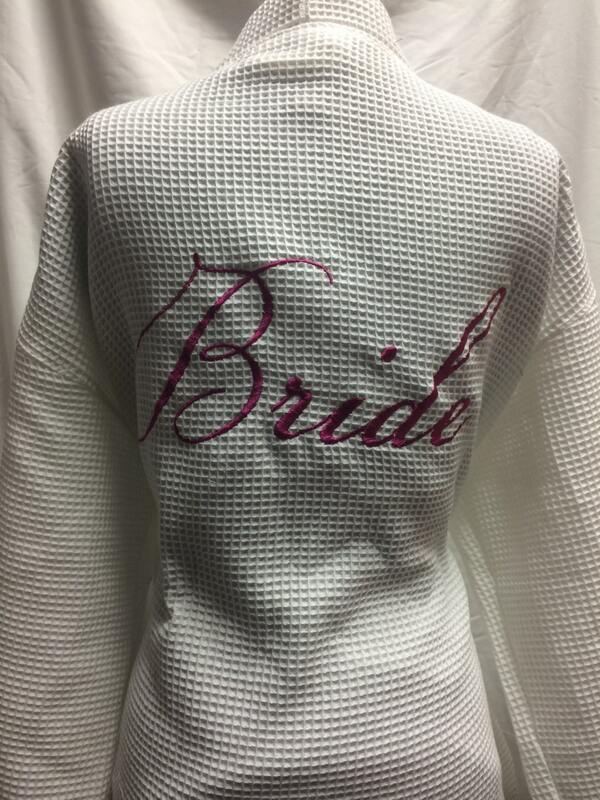 We offer endless thread colors and a great variety of embroidery fonts. 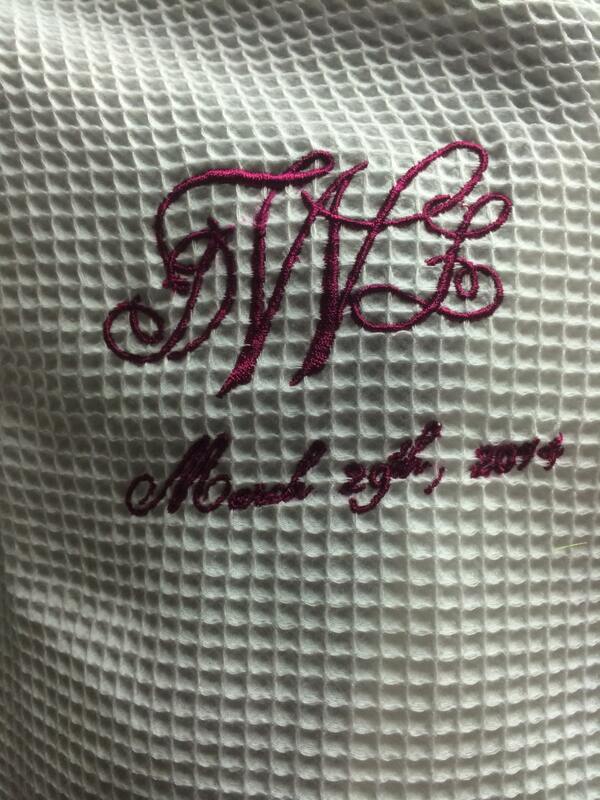 We can also match your exact monogram, wedding font and theme for a very nominal extra fee. One size fits most. Plus size is available upon request. Long robes are also available. Please contact us prior to ordering.